Yesterday, I went on a ‘getting closure’ mission. Those of you who have followed my journey from the beginning may remember a certain moment of criminal activity that I will never allow myself to forget. 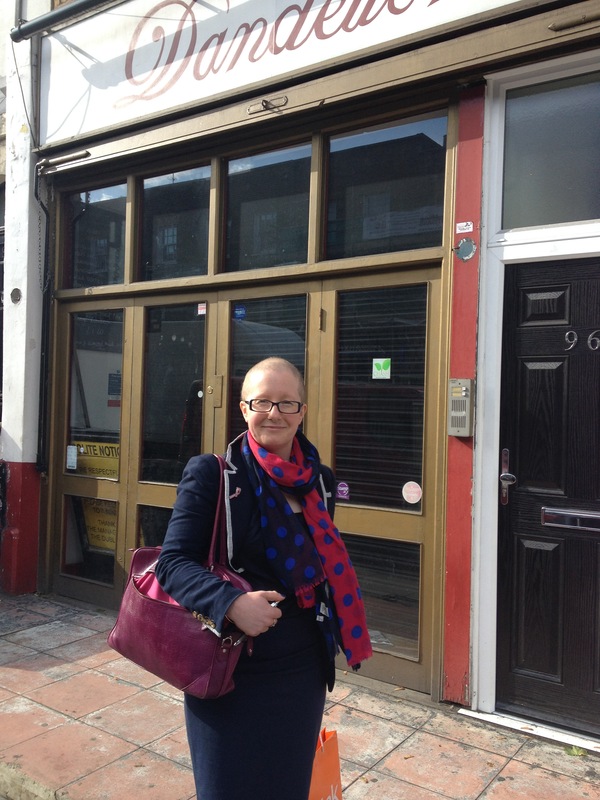 Just after being diagnosed, I walked out of a coffee shop without paying. Yes, it was only a cup of tea (and when my friend called them to apologise they said the loss was only about 15p). But, for me, it was a sign the cancer diagnosis was starting to take hold. So yesterday, I went back to said coffee shop (hoping not to find my mug shot plastered in the window) to repay my debt and have lunch. The only hitch? The coffee shop looked like it was no longer in business. 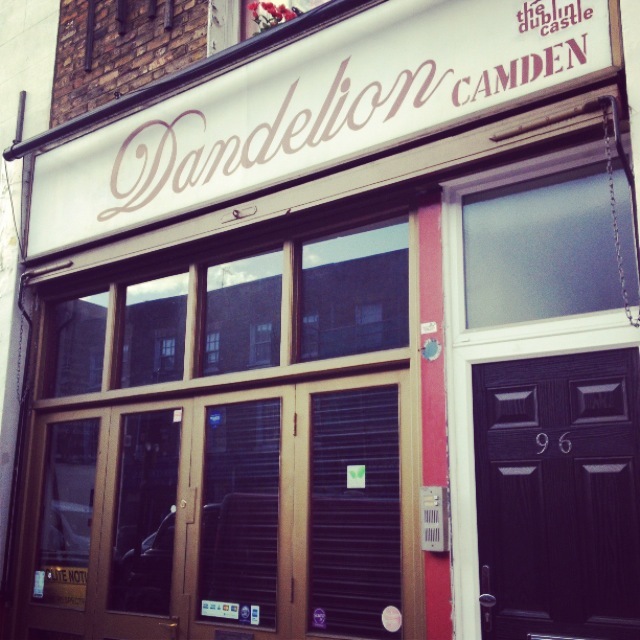 All I wanted was closure, but life decided I couldn’t have it (if you know what has happened to the Dandelion Cafe in Camden, please shout). After joking about my behaviour sending the business under, I started to reflect on just how difficult this healing period really is. I feel strong. I feel happy. I feel motivated, and on the surface (if we ignore the odd hair-do), I look better than I have done in years. I am positive about the future and not currently fearful of what that future may contain. But, even with all the smiles and the genuine happiness, I am still acutely aware of the fact my cancer diagnosis is still bubbling beneath the surface. And, even when I take positive steps to try and put this chapter behind me, life find a way of mixing things up and reminding me that I am not in total control of what comes next. A lot of people tackling ‘the end’ have found the writings of Dr Peter Harvey, a clinical psychologist, incredibly useful and I can see why. What I particularly like is the rollercoaster analogy he uses to describe the whole experience. Imagine a rollercoaster. Some of you will find this an exciting and thrilling image: others of you will find it terrifying and beyond belief that anyone in their right mind would willingly subject themselves to the torment of being transported at high speed and with great discomfort in this manner. Some people find this a helpful image to represent the process of the diagnosis and treatment of cancer. On a rollercoaster, you are strapped in and sent of into the terror, knowing that there is nothing you can do about it until you emerge, wobbly and battered at the other end. You manage by getting you head down and dealing with it as best you can at the time. It is only afterwards, when you are back on solid ground again, that you can look back with amazement and view what you have experienced and marvel at your courage. This seems to be an analogy for what happens after diagnosis of, and during treatment for, cancer. The end of the ride is equivalent to the end of treatment. And this is where we start after the treatment has finished and at the point where you can begin, bit-by-bit, to deal with all that you have been through and all that is to come. You may have had to endure months of treatment by knife, chemicals or radiation until you are probably sick of the whole business, both literally and metaphorically. Now is the time to heal, both body and mind. A lot of what he says rings true. For me, the most striking bit of the analogy is the idea that when you are going through treatment everything is almost a blur as you rush from one waiting room to another, obediently taking your top off or holding your arm out for treatment. It is only when you hit solid ground again that you can start to reflect on the ride – thrilling, frightening or otherwise. I can safely say, I think it’s a rollercoaster we’d never like to see – let alone ride – again! Positive though I am, I feel there are two things right now that have changed for me. The first is my view of time. I have always been a tad bit impatient. Now, however, I feel that every moment I have is a gift and, therefore, have been trying to seize each and every one. Trouble is, now that I am back working full time as well as volunteering, cooking, baking, exercising and trying to relax, there really aren’t enough hours in the day. I listen to conversations wishing I could get up and move on. You could say it’s a great filter. The truth? It’s actually a bit exhausting and it’s just unsustainable. Hopefully I will find a happy medium soon. The other change is a style one. Over the last six months, I have been reaching for zip-up tops and jeans, not dresses and skirts. I was excited about stepping back into my work wear, but, it seems my body shape isn’t the same anymore. The clothes fit, but they don’t quite look right, I have changed, my body has been reborn, and my clothes are a mark of my ‘past’ life. This version of normal is so shiny and new, it going to take me a while to adjust. At least it is closer to normal though. And, every day, I am taking one step further away from cancer and one step closer to me. Today, I towel-dried my hair, upgraded to an adult toothbrush once more and used a razor (my legs got a shock). That’s what I call progress! At least I know one thing that won’t be making am appearance any time soon – a rollercoaster!